Media and Social media are powerful tools, something we Egyptians know very well. The tool can be used to ignite dozens of things; memories, attention, action and so much more. Puerto Rico now feels the true impact of media through the popular summer hit, Despacito. 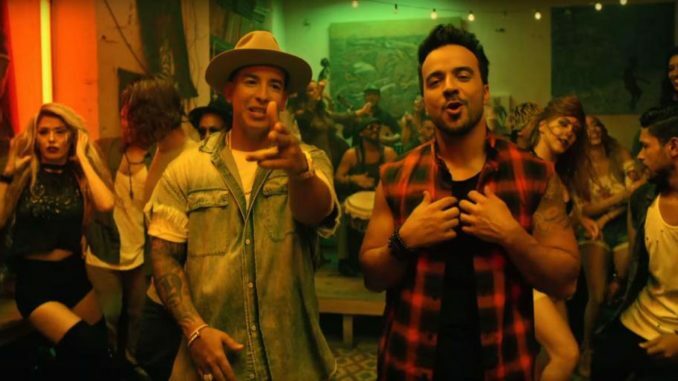 The latest single and video from award-winning superstars Luis Fonsi and Daddy Yankee has indeed become a global smash hit three weeks since its release. The “Despacito” video is now the fifth most-watched on YouTube and till today it hit 2,486,820,678 views on YouTube, and the video was just released this year. Just a few months ago, the country’s governor, Ricardo Rosselló, declared the country bankrupt. That may not be true for long, Despacito’s catchy tunes has captured the world and has generated interest in the small island. Its worldwide popularity, and its single line in the song “This is how we do it down in Puerto Rico,” has increased tourism by 45%! Even with the only mention of the country being one line in the song, mentioned once, the effect it has had is profound. According to a local daily newspaper Un Nuevo Dia, the song and its music video has increased tourism to an unexpected degree. The video includes historically famous locations such as Club La Factoría in Old San Juan and La Perla sector, as well as beautiful shots of island scenery. Tour guides have seen the opportunity and now have included the locations in their new tours. Although most are happy about the increase in tourism, the video has been criticized as creating “Ghetto Tourism.” Ghetto Tourism is defined as a type of tourism where people will visit improvised or slum areas, to see how it is like on ”the other side.” Although criticized, Ghetto Tourism doesn’t really come with terrible results, and usually brings in more income and interest to those living in the slums. Ever since Instagram became truly popular, Tourism organizations around the world have been trying to use Social Media to encourage travel. The visual platform has become the travel company, or even tourism ministries, go-to social media. Social Media has given birth to “Earned Media,” such as recommendations from friends and family, online forums, reviews online and searched social media posts. Earned Media has changed how tourism companies have to work on the online world, because earned media can easily go from “this place is magical” to “gross and lame” in a blink of an eye. For companies working in the travel industry, or even tourism ministries, Puerto Rico’s sudden rise in tourism could be an interesting inspiration. The tour guides who have already added the music video’s locations to their stops understand the power that media had on their tourism. Despacito’s effect on the tourism of Puerto Rico could be an inspiration to all in the tourism industry, as well as marketing. How will Puerto Rico use this knowledge and use the song to raise tourism more? Time will tell. Soft Power Marketing (SPM). According to its creator Joseph S. Nye Jr., a Harvard Academic, Soft Power can be defined as a means of generating a foreign public opinion in line with the same outcome you desire through understanding and fine tuning your messages based on how the audience hears your messages and interprets it. Soft Power Marketing is a medium of attracting others through effective public diplomacy that involves not just age-old broadcasting, but by using an exchange basket of intangibles assets like culture, political values and beliefs, well supplemented through physical trade of complimentary tangible assets. We can glimpse what that new future could look like. It’s peak time to start emphasizing on Soft Power Marketing as Individuals and as nations. Share the post "Music Diplomacy and “Despacito” effect."